There are around 30,000 parts in a modern car. Despite this large number, your vehicle will not be usable in low-light conditions if just two of them are dysfunctional. Those two parts are your headlights, which play a critical role in car accident avoidance. Here is why they are so crucial and should be maintained properly. If it is the middle of the afternoon and there isn’t a cloud in the sky, your visibility will be as good as it can be. Unfortunately, this is not always the case. If you drive under conditions in which visibility is lower, you will have a hard time detecting the various dangers of the road. That means other cars, objects in the street, and more. On the other hand, when you have working headlights, your visibility rises dramatically. This allows you to see danger before it causes a crash. The other side of that coin is that you and your car are a potential danger to everyone else on the road. Even if you do not see another driver, they could see you and avoid colliding with your car. To demonstrate this point, think about reaching a stop sign. When you pull up to one of these intersections at night, you are usually looking for a pair of headlights rather than a car. If another vehicle runs through that stop sign, you are unlikely to see them until it is too late. If that situation is reversed, you want other drivers to see you so they can evade the collision. 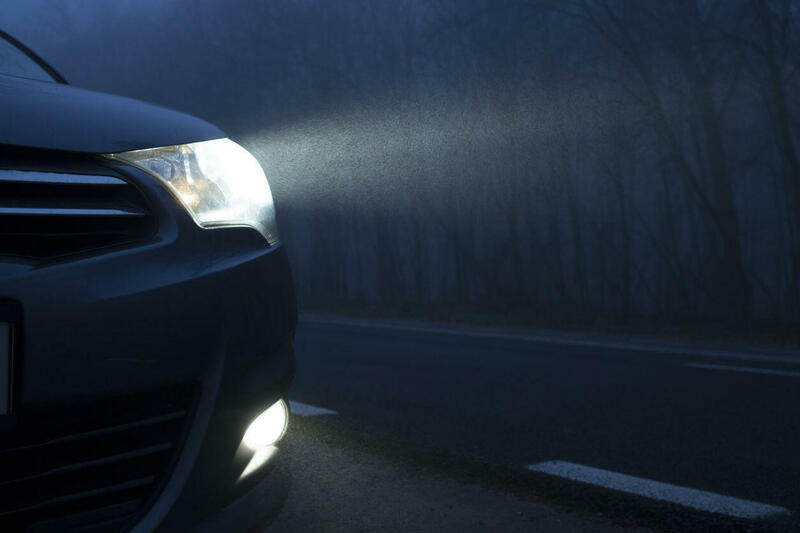 There are three basic circumstances in which you need headlights: Night driving, fog, and inclement weather. Essentially, anytime natural light levels are low, your headlights play a crucial role in keeping you safe. Though there are other factors involved too, lack of light is one of the factors that contribute to these three conditions being so unsafe. The following are the three fundamental ways to maintain your headlights. Replace Bulbs – The most obvious measure you can take is replacing your bulbs. If they are entirely spent, this will allow you to use your headlights again. If they are still functional but very dull, replacing the bulbs will increase their brightness. Adjust – Sometimes the bulb is just fine, but it is not in the correct position. If you think this might be the case, you should take your car to a trained mechanic for an assessment. Buff – One more thing that can dim your lights is the plastic that they shine through. After a while, this plastic can become cloudy. To fix this, you can either pay a mechanic or purchase a polishing kit and do it yourself. Dysfunctional headlights can prove very dangerous. Not only could having them result in a ticket, but you could get severely injured in a car accident caused by low visibility. For these reasons, it is best to keep your headlights in optimal condition. That way, you can stay safe and keep others safe as well. If you have been involved in a St. Louis auto accident cause by another driver failing to properly maintain their vehicle, give us a call 24/7 for a FREE case evaluation.